From Blank on Blank, The Experimenters uncovers interviews with icons of science, technology and innovation. See beautiful companion animations at experimenters.squarespace.com. Peanuts, Atlantis, and Colorblindness. It's our latest episode in The Experimenters miniseries featuring icons of science and innovation. Oliver Sacks, Jacques Cousteau, and George Washington Carver take us on a journey exploring self, sight, and deep-sea diving. The three icons had the imaginations and daring to go where none had gone before. They overcame indifference and bigotry, exploring the darkest depths of the ocean, and even challenging their own deepest assumptions. These men lived the very definition of scientific inquiry. Alvin Toffler and Margaret Mead: an author and an anthropologist who endeavored to understand the impact of scientific invention. In this episode of our series, The Experimenters, we hear from two visionaries who believed that while we’ve started a technological revolution, we don’t quite know where it’s going to take us. But maybe most interesting of all – we get to hearing these archival interviews from the very future these thinkers were trying to imagine. Mead and Toffler guide us into a view of what the present might have been — or perhaps in some ways actually came to pass. 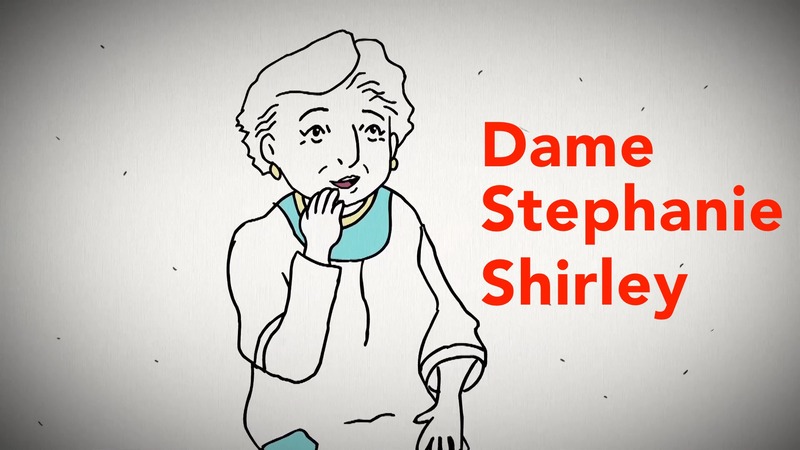 "I have to make my life worth saving, and each day you spend as if it would be your last" - Dame Stephanie Shirley in 2010 from an oral history at the British Library. The tech pioneer tells her story of escaping Nazi Germany and breaking through the glass ceiling in tech after she arrived in England. You’ve probably heard the story that Einstein - whose name is synonymous with genius - didn’t seem destined for much when he was a small child. He was years behind other children when it came to learning to talk, he did horribly in school. It seems that Einstein’s brain just worked differently than most other people’s. And many people these days are saying that Einstein was probably autistic - one of them is Temple Grandin. Temple Grandin is a professor of animal sciences who’s worked in the meat industry to invent kinder ways to lead cattle to slaughter. She’s also autistic - the high-functioning version known as Asperger’s Syndrome. Autism, in case you don’t know, is a brain disorder that tends to affect people’s social skills, like the ability to read facial expressions and body language... but it can also mean extraordinary talent in math, music and the visual arts. 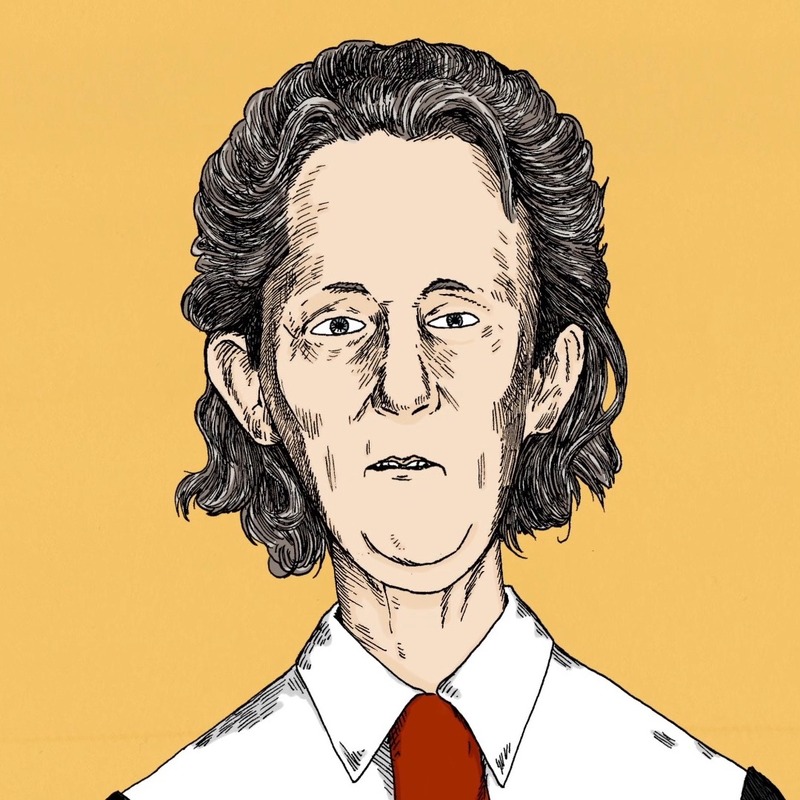 Temple Grandin has become something of a celebrity of autism. She’s written books, given TED talks, and she’s been around the world to speak on the subject. Claire Danes has even played her in a movie about her life. As part of our special series, The Experimenters… uncovering interviews with the icons of science, technology, and innovation…. we found this interview in the holdings of Colorado State University, where Temple teaches. In this conversation, Temple’s at her best, explaining for the rest of us what it’s really like to have an autistic brain… and how Einstein’s not the only genius who could have been dismissed for being different. “I wish that there had been another woman on my flight. I think it would have been a lot easier.” - Sally Ride in 1983. Interviewed by Gloria Steinem. This episode marks the return of our special series, The Experimenters. We’re uncovering lost interviews with the icons of science, technology, and innovation - people who helped make the world we live in today. One of those people is Sally Ride. These days, just about every space mission has women on it. It’s just not a big deal. But in 1983, it was very much a big deal - that’s the year Sally Ride became the first American woman in space. Back in 1963, Russia sent Valentina Tereshkova as the first woman to fly to outer space. But it took two more decades for the Americans to follow suit. At the time, journalist and icon of the feminist movement Gloria Steinem had an ABC interview series, called ‘In Conversation with…” As part of that program she interviewed Sally Ride - and we found the tape in Smith College’s archive dedicated to the life and work of Steinem - The Gloria Steinem Papers, part of the Sophia Smith Collection. Now at the time of this interview, as far as the public - and it turns out the press - were concerned, space was for clean-cut alpha males with names like Buzz. Then Sally Ride came along. If you’ve ever been to Illinois, you’ll know all about the defining features of its landscape - namely, that it’s pretty much flat. But architect Frank Lloyd Wright did something new when he made buildings that somehow became one with the prairie. Long, low lines, and interiors that brought the light and space of the outside in. With the same approach, he built homes in the woods around waterfalls, on high bluffs that take in the stretch and space of the land below. If you’ve ever visited one of his houses, you’ll know how they manage to make you understand more about exactly where you live. As part of our special series, The Experimenters, where we’re uncovering interviews with the icons of science, technology, and innovation, we found this 1957 interview with Frank Lloyd Wright. It’s part of a collection at the Harry Ransom Center at the University of Texas at Austin celebrating The Mike Wallace Interview, a TV program that ran back in the late ‘50s. Frank Lloyd Wright’s designs and style seem very nice, very clean now, but at the time, he was a controversial personality. And like most famous architects, his work was as much hated as respected. And that’s what Mike Wallace wanted to talk about. "The key was somehow to know what was important and what was not important, what was exciting, because I can’t learn everything"
If you don’t really have a head for math and science, physics may be the most intimidating subject of them all. It’s space and time, the make-up of the entire universe - incredibly abstract and mind-bending stuff, and enough to make a lot of students throw in the towel. And that’s where Professor Richard Feynman really made his mark - of course he did all kinds of groundbreaking work, like his theory of quantum electrodynamics…. 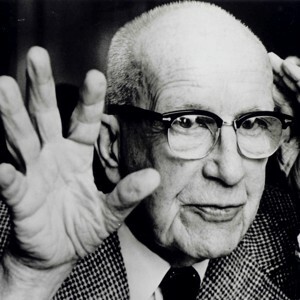 he proposed the parton model in the field of particle physics… was even part of the atomic bomb project. But he was also an amazing teacher, this dynamic and charismatic lecturer who made physics fun. He was one of those rare people who not only naturally understood math and science - he was actually able to make other people understand it too. And like it. Starting in 1966, science historian Charles Weiner interviewed Richard Feynman as part of a big oral history project at the American Institute of Physics. Recording hours of conversation, Weiner captured the details of Feynman’s entire career, his whole life. In those hours, Feynman talked about his earliest memories - what and who shaped the world-famous physicist - and teacher he’d later become. And most influential of all…. a man who was neither a scientist nor a mathematician - a man who didn’t even have any formal education - his dad. 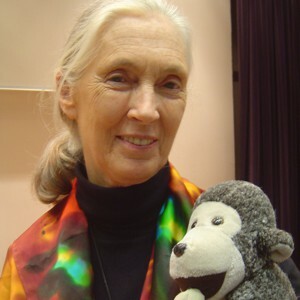 Jane Goodall tells her remarkable life-story of how she started on her game-changing pathto understand chimpanizees--all without a college degree. We also get to hear about the obstacles she faced from the academic establishment along the way. Oh and why she believes in bigfoot. "I must reorganize the environment of man by which then greater numbers of men can prosper"
Episode 1: The Experimenters Series: Icons of science, innovation and technology on what spurred their creativity. "That’s inevitable that humans would project their hopes and fears upon the cosmos" - Carl Sagan on October 4, 1985, as told to Studs Terkel. The pair talk about man's place in the universe and what's out there. The incomprehensible vastness of the universe, the wonder of our own place in it all… Carl Sagan was able to explain the science of space in a way everyone could understand. Among his long list of roles and accomplishments, the Cornell professor and NASA advisor is possibly best known for the 13-part television series, Cosmos, which reached millions of people worldwide and sealed his place as celebrity scientist. Maybe he was teased a bit for his tendency to say “billions”, a lot. But Carl Sagan had this amazing talent for explaining the scientific wonders of the universe without losing the wonder. When he spoke about the science of space, he captured imaginations and held people in thrall. As part of our special series, The Experimenters -- we’re uncovering interviews with the icons of science, technology, and innovation -- we found this conversation between Studs Terkel and Carl Sagan in the WFMT Studs Terkel Radio Archive. 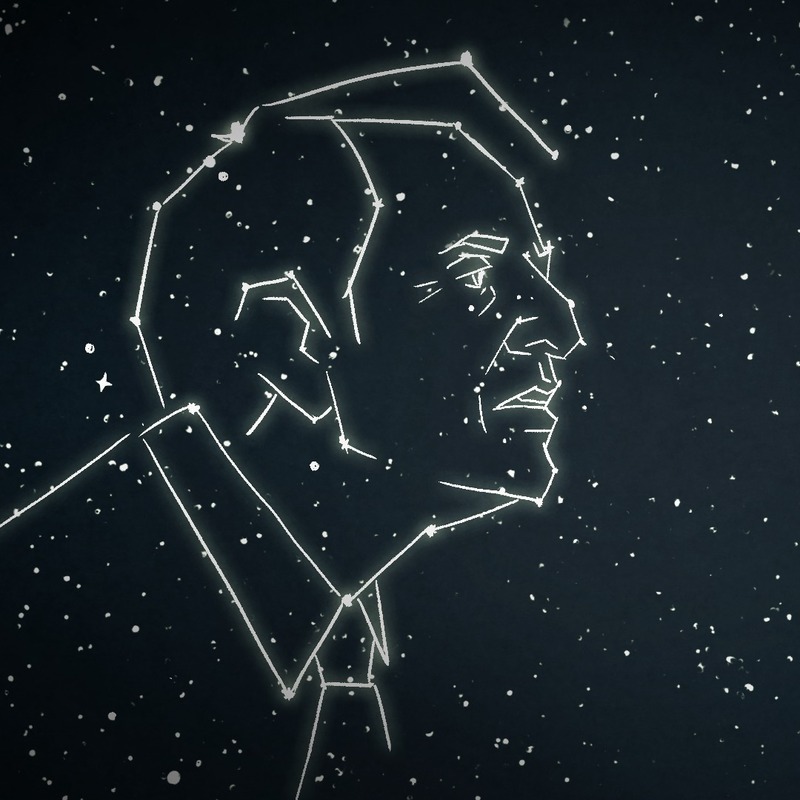 Following “Contact,” the book he wrote with wife Ann Druyan - and the major motion picture that followed it -- Carl Sagan spoke with Studs all about our continuing search for intelligent life out there, including how, for a long time, Hollywood just got it wrong. Here’s the tape.